My day 5 nails bring you my favourite negative space look of the week, plus I played with some of that new fairy dust (aka mermaid powder) glitter too. Oh and CATS! 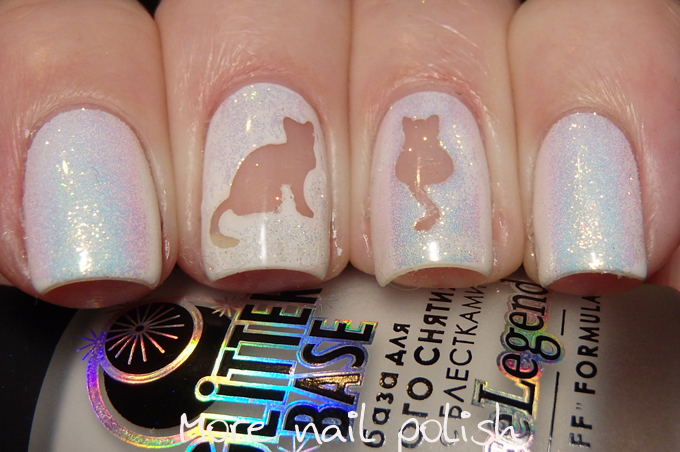 I used some cat nail vinyls that I received a while ago from Loki's Nail Vinyls. 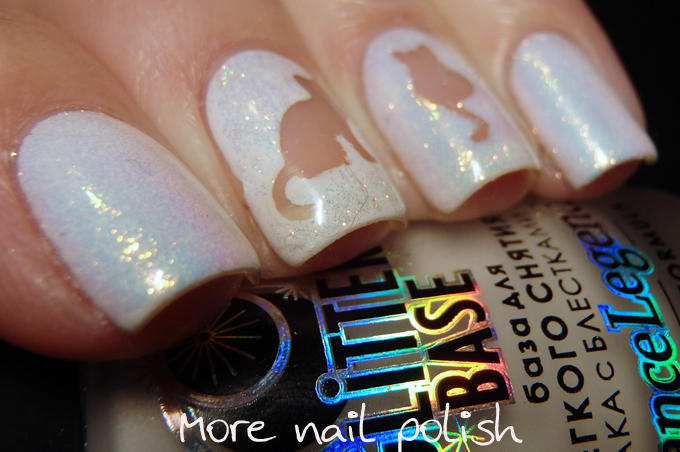 They are adorable and were a nice quality to pull of this design with. 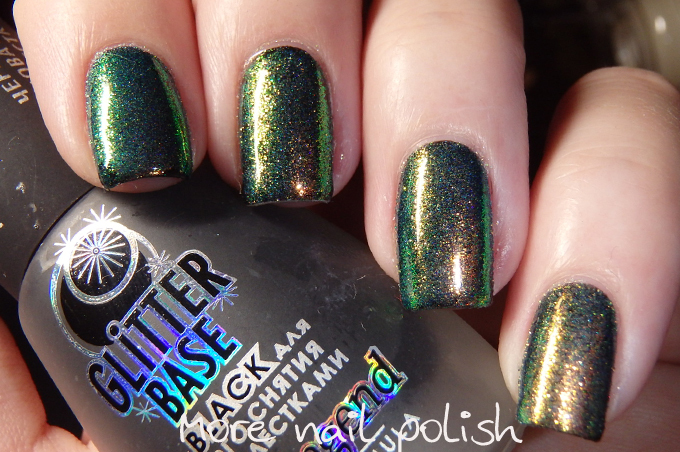 For this look I used a combination of different polish types. On my nails that were full coverage, I used a peel off base and then white gel polish. I rubbed the fairy dust glitter into the sticky layer and all was great. 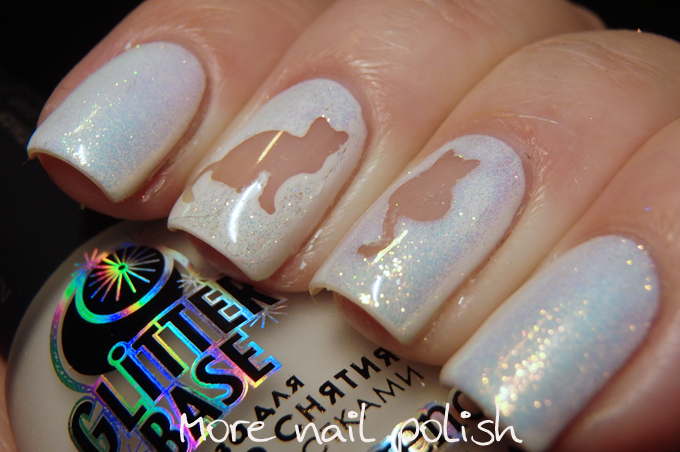 For my kitty nails I really struggled with getting them to work. I wasn't able to get the vinyls to work with gel polish, even only curing it for a short time then peeling the vinyl didn't work. 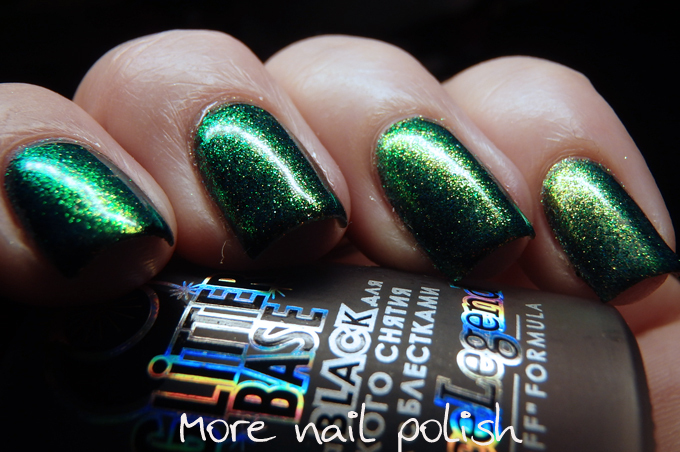 I ended up using the Dance Legend glitter base again. I had to pull the vinyls off when the glitter base was still wet and then time it really carefully to ensure the glitter base was sticky enough to grab the glitter but not too sticky that it rubbed away. 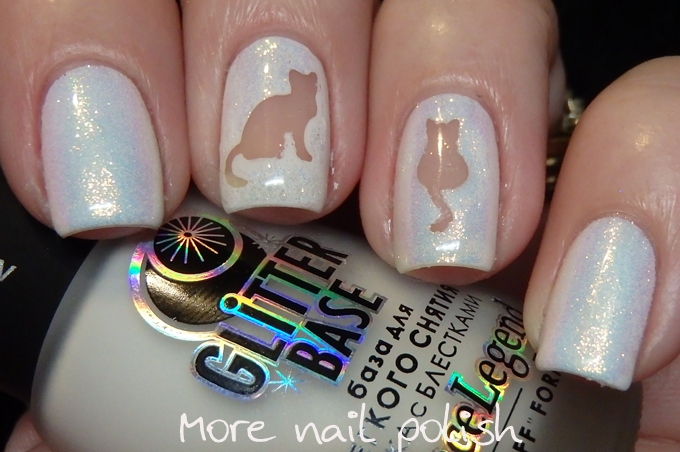 I did some of the kitty nails about 4 times, but it was so worth it in the end. Next let's talk about the actual Fairy Dust glitter. I bought mine from Daily Charme. When I first saw it I wasn't able to really find many reviews that actually described what it was. All I knew was that it looked so pretty and fairy like and that I needed it. So what the hell is fairy dust? 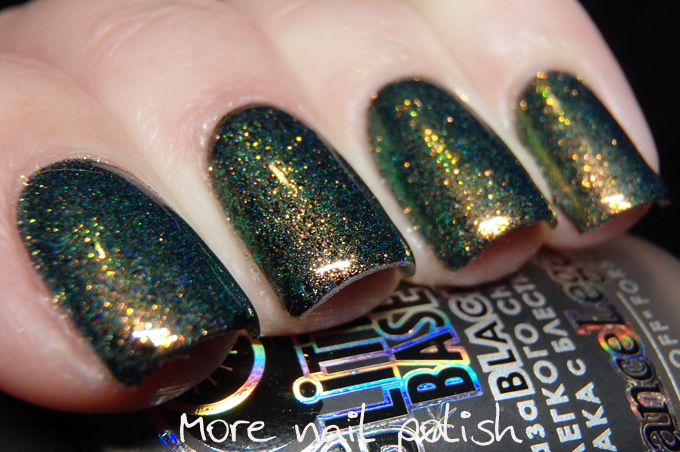 Well its actually just micro fine iridescent colour shifting glitter. This one has a very strong red to green shift. When applied over a pale colour the iridescent glitter tends to glow blue where the light hits it and shifts to pink and purple on the edges, but over a dark colour its behaves more like your traditional red to green colour shifting pigments. 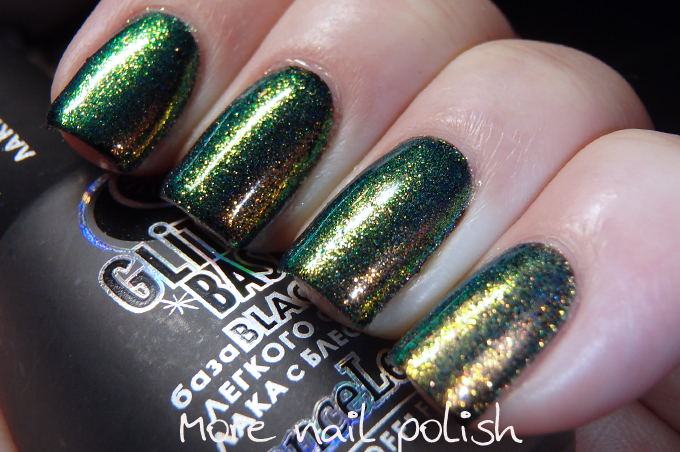 These swatches show the fairy dust over a black gel base, where I rubbed the glitter into the dispersion layer. The colour shift goes from red to copper to gold to green. That fairy dust looks like the equivalent of Indigo Naila Mermaid Pigment. Love it! 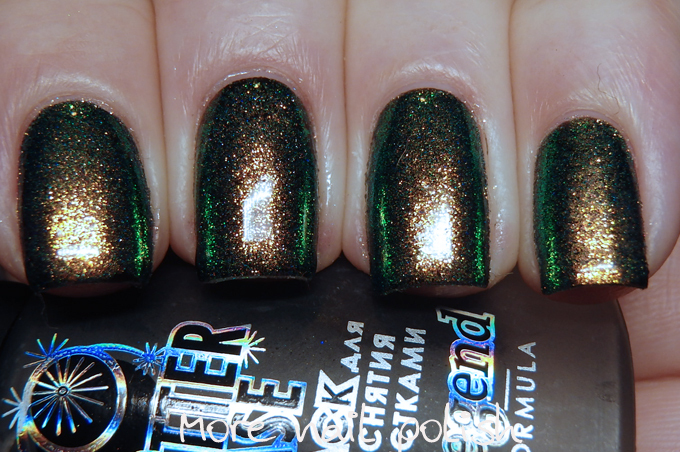 Oh my, that glitter looks incredible! The cats are so cute too! That fairy dust is super pretty!